“Build it, Dad,” my sister begged. “And they will come!” I chimed in. Although my family was not particularly religious, nor had we ever celebrated the festive Jewish holiday of Sukkot, my twenty year old sister, home from college for the weekend, decided she absolutely needed a sukkah in our backyard. If you have no idea what a "sukkah" is, you are in the exact same boat as my dad when my sister pleaded, "Come on, Dad, build one. I've always wanted my own sukkah." My dad totally took the bait. We explained to him that a sukkah is a temporary hut for use during the week-long holiday of Sukkot. It is a structure consisting of a roof made of organic material which has been disconnected from the ground. A sukkah is usually constructed outside a synagogue, where congregants gather to hang fruit as an offering of peace and hope. 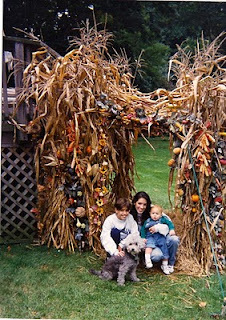 Did we really know the history and religious significance of a sukkah on the day that we pestered my dad relentlessly? No way. We simply felt that the construction of a sukkah was a good dare for my dad. And, because erecting a sukkah seemed much more reasonable than the usual requests my sister made, like a white BMW 5-series, and much less controversial than the purchases she made on her own, like the $600 worth of lingerie from Victoria’s Secret (which appeared mysteriously on my parents’ Am X statement), my dad agreed. Yes, a sukkah seemed reasonable. Just one problem. My dad had no clue how to build a sukkah. In all seriousness, he had no clue how to build. Period. But, if he's a genius in one area, that area is the garden. He is a wizard with wildflowers, plants, trees, garden sculptures, fountains, Buddah ladies, Native American chief carvings, what have you. A landscape architect extraordinaire in his prior life, no doubt. 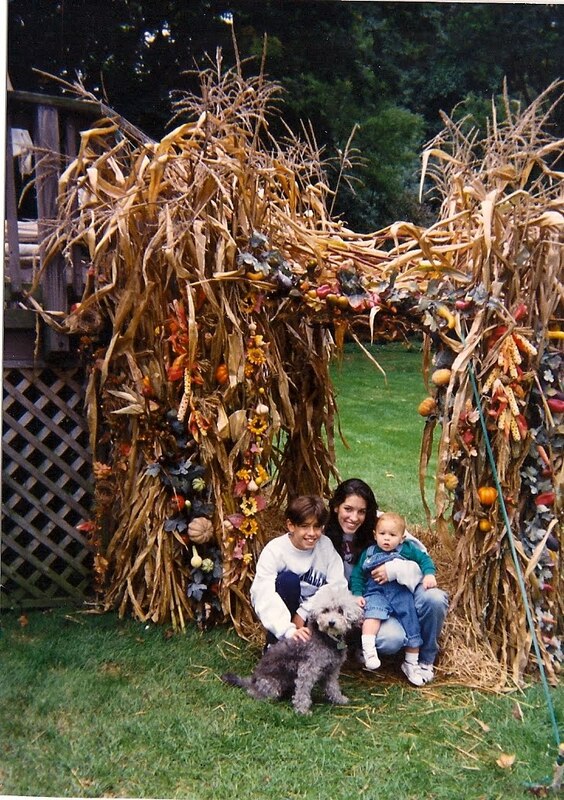 But this sukkah was a whole different animal. After all, my dad had grown up in a large Irish Catholic family. His early years were chock full of nuns, rosaries, and sins. He preferred the gospel of Bob Dylan to that of Jesus Christ. And, when he fell for a nice Jewish girl he met in school, the decision to convert was an easy one. But he converted in his unique way. He didn't abandon Dylan, he simply incorporated him into traditional Jewish festivities. At my Bat Mitzvah, he convinced the cantor to learn and perform an unforgettable spine-tingling version of Bob Dylan's "Forever Young." 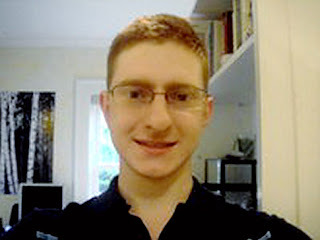 He learned Yiddish expressions from my grandparents, great-grandparents, and great-aunts and even considered starting his own newspaper column, "The Tsatskeleh Sightings." He loved to dance the Hora at every wedding and often requested to the bandleaders that they rock out to “Chavah Nagilah” “reggae-style.” (Whatever that means. I'm sure only he knows). So, really, this sukkah dare was right up his alley. It was just off-beat enough for my dad to really dig in deep and go all out. It was a crisp fall day. He threw on his dark black aviator shades, hopped into his convertible, and sped off solo to find the makings of a sukkah. Within a half hour, he pulled into our circular driveway covered in chicken wire, hay, palm leaves, bamboo sticks, and other foliage which nearly concealed his face behind the wheel. He had bags full of fresh, dried and plastic fruit, customary decorations for the sukkah. My mom squealed, looking out the 2nd floor window, "Daddy's back! Look outside!" What happened next was breathtaking. My dad single-handedly built the most fabulous sukkah our neighborhood had ever seen. (Not to mention the only one it had ever seen!). He built it and, just like I had predicted, oh did they come! In droves. Reclusive neighbors, small children, babies in strollers, poofy haired dogs with big butts. Everyone wanted a peek. Our backyard became a Jewish version of Christmas-time at the mall. 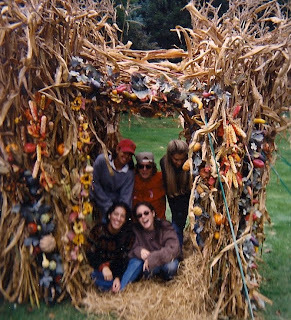 Instead of sitting on Santa’s lap, each visitor insisted on having their photo taken standing inside the sukkah. 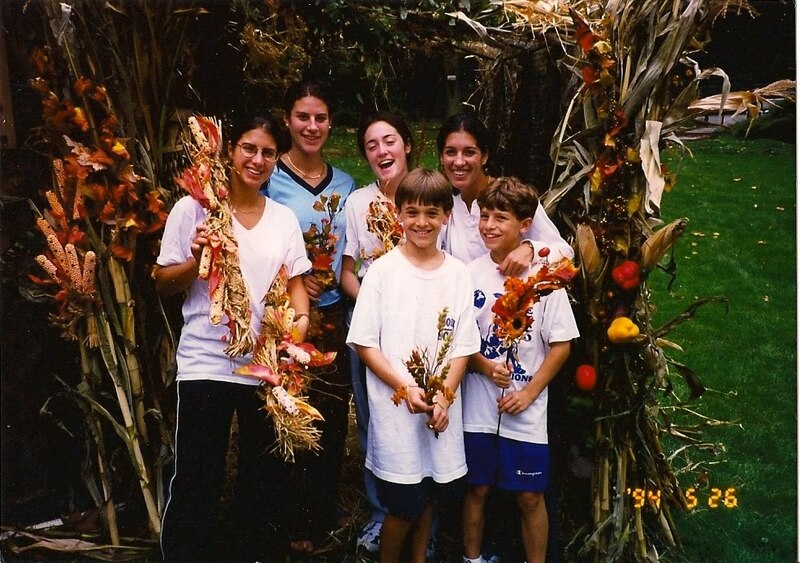 Years later, friends and family still reminsce about the building of the sukkah. It has taken on a mythical quality, like the building of the pyramids or the Great Wall of China. It was one man, one vision, and the gathering of one community. 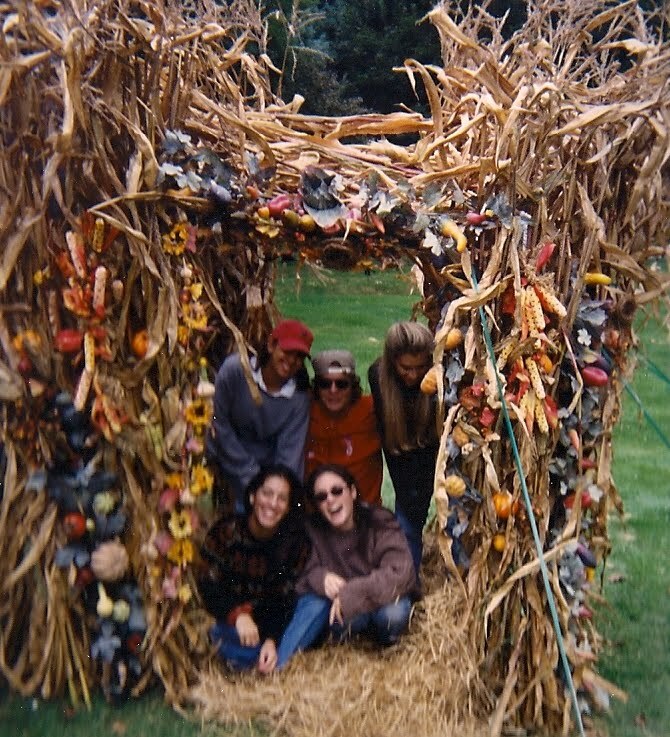 Although my dad was a late bloomer to the Jewish faith, never had a Bar Mitzvah, and may not be able to identify one Hebrew letter, I believe that anyone who builds his own backyard sukkah simply to see his daughters smile surely has some serious soul. It was time for my suits to go. They had been bogarting space in my closet since I was 5 months pregnant, when I could clearly no longer wrestle into them. Some of them still hung in plastic bags straight from the dry cleaners. I decided I wanted to give them away to someone or several people who would really need them and appreciate them. I found a website for Dress For Success. The Philly branch has drop-off hours for donations every Monday. I loaded my suits and my son into the car. I explained our mission to him in 18 month old language. He smiled and pointed out trucks, trains, and airplanes on our ride into the city. When we pulled up to the Center City drop-off location, I dialed the Dress For Success office. "Could someone please come out back and help me? I have my baby in the car with me, and I have a big pile of clothes to donate." Within seconds, the door opened and a woman emerged, looking a bit sour. She surveyed my car, then me, suspiciously. I wanted so badly to tell her what Deepak Chopra once said: "You can have [a soul] and a Mercedes at the same time . 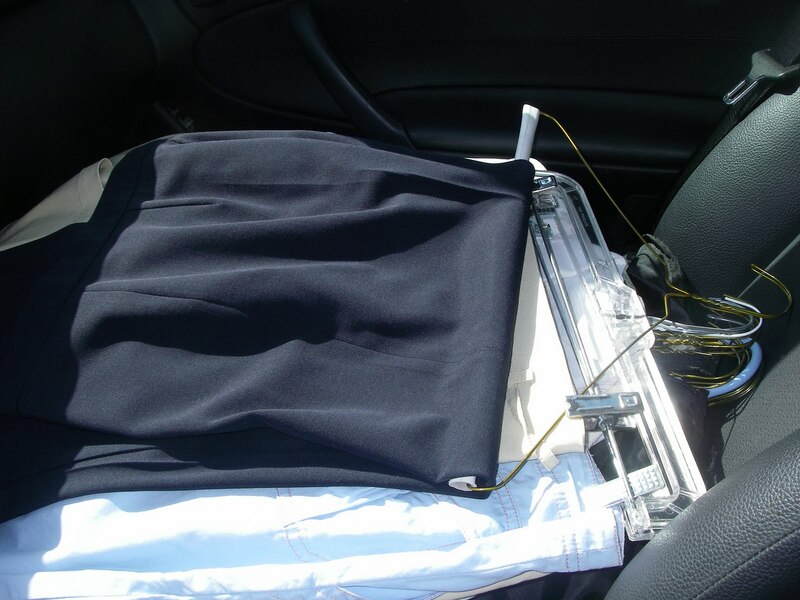 . ."
Instead, I jumped out of the driver's seat, ran around to the passenger side, carefully gathered up my suits and handed them to her. "Thank you so much for coming out to help," I smiled at her. She didn't smile back. I watched as she counted the number of suits in her arms and thought I saw her eyes light up. I had considered putting "good luck" notes into the pockets of each of the suits. As she turned abruptly to head back inside with the suits, I stood at my car door, thinking of what to say. I thought about yelling out to her: "Those suits have been with me through graduations, funerals, and everything in between. They have stood before television executives, federal judges and juries, and even maximum security prisoners. They have concealed life's best feelings, like being in love and carrying a baby." As she opened the door, I yelled out: "Please wish the women who end up wearing those suits much success and all the best life has to offer." She spun around, almost startled. A huge smile overtook her face. She looked me right in the eyes. "Yes, I most certainly will." Everyone asks me where I'm sending my son to school. I tell them I have no idea, I haven't really thought about it yet. He's only a year and a half and thankfully, we don't live in an area where you need to register your child for preschool when he's just an inch long on the ultrasound. I guess next fall he'll start somewhere, just for a few hours a day, maybe a few days a week. That's about as long as I can imagine letting him go. So, this leaves me with one good year with my baby boy. One more year of playground visits and watching him belly laugh on the swings (and even swinging next to him when he points to the vacant swing and says, "Mama.") We have one more interrupted year of play groups, music classes, sledding on snowy days, morning walks along the river, visits to friends and family at our whim. Of course, this coming year will be full of "field trips" to the aquarium, zoo, art museum, apple orchards, and everywhere else. But, slightly off the beaten path, I've decided to add to his "curriculum" a master class in "good will." Every week for this entire school year, we'll do something to help others. It may be a small or large act. It may benefit one person or many, near or far. I have some ideas for where to begin, but I am open to suggestions. What will my baby boy gain from this year of good will? Isn't 18 months way too young to remember these acts of kindness? Perhaps. But, I hope that somehow this year of giving will stay with my son forever, and, even if it doesn't, you can never imagine how one small act of kindness can impact someone else's life.